MANILA -- Local vehicle manufacturers together with support industries have set their sights on replacing the estimated 200,000 public utility vehicles (PUVs) that will be phased-out under government’s modernization program. In a press conference for the 2nd Philippine Auto and Parts Expo (PhilAPEX) on Friday, Department of Trade and Industry’s (DTI) Comprehensive Automotive Resurgence Strategy-Project Management Office (CARS-PMO) Manager Marissa Concepcion said 140,000 out of the 200,000 units are being targeted to be supplied by local manufacturers under the PUV Modernization Program. 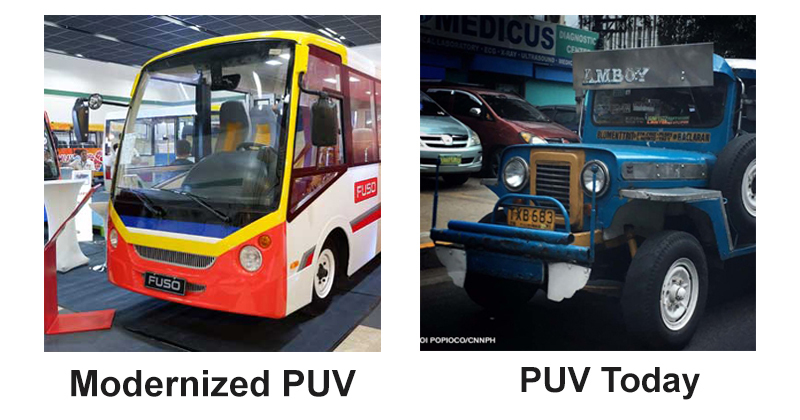 Of the 140,000 units that will be locally supplied, 60,000 units are Class 1 PUVs or those with 13 seating capacity and 80,000 are Class 2 and 3 PUVs that have seating capacity of 23 and above. Concepcion said the DTI is designing an incentive program to support the local assembly of PUVs in line with the modernization program. This program is biased to the manufacturing of Class 2 and 3, with the large demand for these segments, but the production capacity of local assemblers for these types remain low. DTI Undersecretary Ceferino Rodolfo said the Board of Investments aims to provide the manufacturing solution for the PUV Modernization Program by strengthening the local assemblers, helping them to take advantage of the demand, and also to create jobs for Filipinos. It was noted by Automotive Body Manufacturers Association of the Philippines President Vicente Mills Jr. that around 10,000 to 15,000 direct employment may be generated if the 200,000 units in the PUV modernization will be supplied by local assemblers. Mills said that it needs 600 man hours to produce a non-air conditioned PUV prototype and 700 man hours for air conditioned PUV. Moreover, Rodolfo said the government will be supporting the local industry but will not restrict the market for imported vehicles to supply the demand for the PUV modernization. “We’re not doing the manufacturing solution in a protected environment… We are allowing the imports to supply the needs of jeepney operator. We will have open competition here,” Rodolfo said. But providing fiscal incentives to local assemblers will help them to build the local value chain, jobs, and additional taxes for the government. “This program is what local auto part makers and vehicle body builders have been waiting for. It provides local manufacturing activities that boost our industry. It is something we look forward to that will fill up our plant utilization and sustain our labor force, if not even increase job generation,” Philippine Part Makers Association (PPMA) President Ferdinand Raquelsantos said.